Kony 2012 is a short documentary film produced by Invisible Children, aiming to promote the charity’s “Stop Kony” movement. 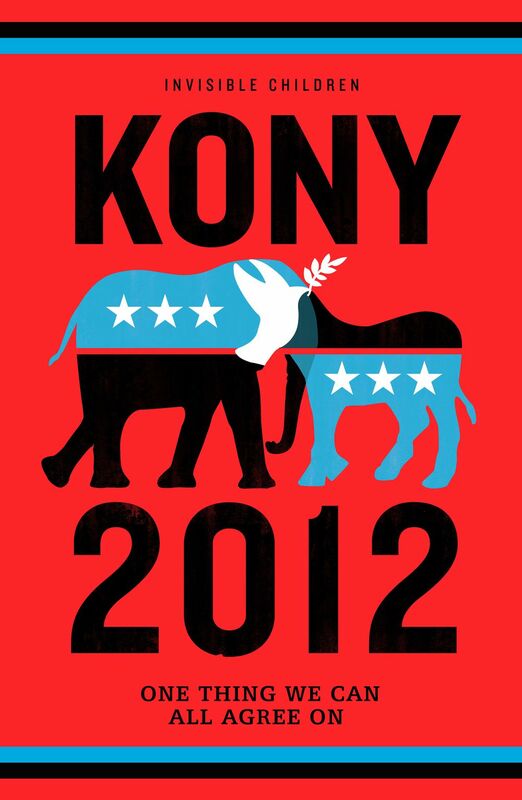 The above is the promo poster for the video on Youtube, featuring stylized forms of the donkey symbolizing the Democratic Party and the elephant symbolizing the Republican Party, overlapping to form a white dove of peace. The font used for the film title in the poster as well as headlines in the film is Knockout Welterweight. The narrow sans serif was designed by Jonathan Hoefler and Tobias Frere-Jones. Knockout font family was originally released through H&FJ in 1994. The Knockout font identified above is not available for free, please follow the link above and purchase the font. Meanwhile, you can take a look at our collection of fonts for cars, pop music and apparel as well as round-ups of new & fresh fonts around the web. In addition to Kony 2012, Knockout typeface is also used in the following logos, movie posters or album covers etc., including: America’s Next Top Model, Before the Robots, Vampire Academy, Horrible Bosses, One Love Manchester, Sticks and Stones, Tilt Ya Head Back, Until Dawn, Edge of Tomorrow, Tell Me You Love Me, Beyond: Two Souls.